Cole Valley Has It Going On! I am bringing a gorgeous classic full flat condo on the market soon which is located on the edge of Cole Valley. This neighborhood has one of the cutest shopping streets – Cole Street – and as a result, it is a very popular neighborhood. When buying a property, my clients insist that they want to be within walking distance of a coffee shop, grocery, and local restaurant. Living at my new listing will satisfy that buyer’s common desire. One of my former clients’ hopes was to buy a place that would be a short walk to a fun wine bar and I helped her satisfy that requirement! 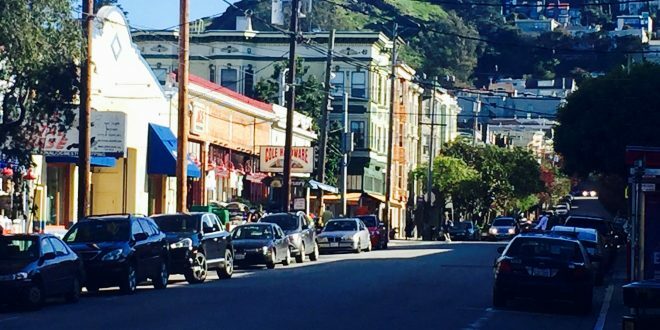 Cole Valley is the type of neighborhood where people are friendly and unpretentious. Not that there are any pretentious neighborhoods in SF! One of my favorite spots there is Zazie, named after the Louis Malle film, Zazie dans le Metro, where owner and chef, Jennifer Pallet, cooks many of her French husband’s family recipes. I have enjoyed dinner there, particularly the three course prix-fixe dinner which is available all night for $39. If you plan to dine there, try to arrive early because lines tend to form outside, especially for brunch. Even Adele was spotted there in 2016! There are, also, several intimate coffee shops, like Reverie Cafe and Pete’s, on Cole Street where people gather to discuss the latest on the politics of the day. There is a lot to talk about these days. If you are interested in seeing my new listing, please don’t hesitate to give me a call. Previous: Don’t Let Your Real Estate Agent Represent the Other Side! Next: What a Charmer Near Cole Valley!